It's common knowledge that the readings you have to do in University are tedious, never-ending, and often sleep-inducing. But once in a while, you'll come across something that you really find stimulating. 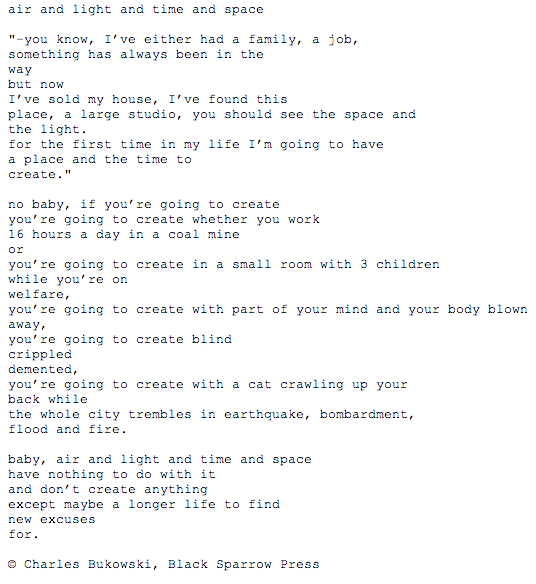 In one of our readings this week, a poem by Charles Bukowski was used to prove a point. I won't elaborate on the point, because I think you ought to just look at the poem yourself and figure it out.